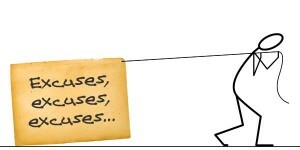 BlogHome » Blog » 5 Excuses Translation Agencies Use When They Do Not Assign Their Project To You! During my seven years of experience as a freelance translator, I have collaborated with countless agencies around the world, I have e-met fantastic people and project managers in all corners and together we have completed many Greek projects. Some of them come directly to me, without going through the group-emailing procedure. Some tend to send out group emails to reach more translators at once. What are the most common excuses translation agencies have used when they did not want to assign their project to me? Well, it may not seem as an excuse at first, however, it does not really inspire much confidence when you have replied to the email within seconds! Replying to group emails is an action similar to fishing: the first translator that replies gets the job. Is it always the case though? So, you are actually telling me that large corporations that need to have each and every step they make approved by lots of people before they proceed, have gone through all the procedures needed and sent you an email to confirm the project, only to cancel within minutes after you have asked for translators’ availability? Really now, are you trying to convince me that this is the case? Surely, it could also be that they could not afford the cost after the agency’s commission is applied, eh? No! See comments above. Again, it may not be an entire excuse. It could be that a client has asked numerous agencies to quote for their translation project and in the end, it could be that some other agency landed the job. And by “…” I mean total silence, no excuse needed! The client never replies to your email, they choose to hide behind the shield of it and that is the end of it! Good-bye project, farewell! After working for so long in the translation industry, such excuses are common to my ears. In the beginning of my career, I have to admit, that I believed the PMs and sometimes even felt bad when I did not reply to a group email the second I received it. Now, after so many years, I have actually stopped replying to them and they go straight to my Deleted messages’ folder. What other excuses have you come across during your career? Do share those gems with us! Very interesting remarks indeed … Stupidly, I also believed all the excuses given by agencies/clients for projects not being available, until recently. It is indeed so frustrating, isn’t it, when you try so hard to be available in seconds, and drop all you are doing, any time of the day or night! Now and then, I even have an agency who asks me for my availability over the next few weeks, and then never gets back to me – until I ask, only to be met with excuses. I even wondered if this exercise was to see how busy I was in my job, and to (who knows!) pass the information to someone else (agency, freelancer, etc.) – very sneaky indeed! I also had an agency calling me ‘on behalf of a friend’ to translate a ‘short’ email and send it to their clients, do a telephone survey, and fill questionnaires … all this for one single fee, of course, as – you won’t believe this – I was doing this ‘in my own time’! It’s amazing what you sometimes hear, these days … Freelancers, don’t let people exploit you! With regards to deciding where to file messages, I wish I could send all the job requests to my ‘Deleted messages’ folder, but I would never get any work, this way. With experience, however, I just got to know which agencies/clients treat you with respect and are worth working for, and which are not. Some emails do go to my ‘Spam’ folder, like those who find excuses with late payments, again and again – which is even worse, as you have actually done the job! Excuses such as: ‘Our Accounts people are off sick’, or ‘It is up to our Accounts department to sort this out’, or ‘It will be sorted shortly’, or ‘I am sorry this was overlooked’ … only for me to get back to them again, to hear the same old excuses (if they do reply). As you say, you get bitten once, but not twice! Thank God there are still some good, reliable, honest, helpful agencies and clients out there, though! These are definitely those I will work for, and hopefully many of my colleagues. Well, happy freelancing (with the good, honest, reliable, respectful agencies/clients), and thanks for sharing your very insightful thoughts! Apologies for the late reply, it has been so hectic in the office lately! It needs experience and common sense to arm against such comments and of course as it is always the case, at the end, we do get used to it! Thank you for your comment and nice words and wish (to both of us) to hear such excuses fewer times in the future!